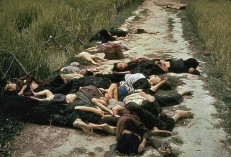 This is an image taken that showed the after events of the My Lai Massacre during the Vietnam War in 1968. It is a photograph that was originally taken by an army photographer named Ron Haeberle on the same day the massacre. The events of the massacre were unknown until the media published his photographs in November the following year.This image would later be published in publications such as LIFE Magazine a month later. I acquired this image as a 37.2 KB JPG image through an online article on the NYPost that detailed the incident. The My Lai massacre was an event in which U.S. troops marched into the village and slaughtered 504 unarmed Vietnamese civilians on March 16, 1968. This image shows a mass amount of dead bodies on a small village road, i believe the intent of the photo was to document and show the brutality of what had occurred, even though the company the photographer was in was told it was due to the actions of the Viet Cong who were retreating from another battlefield. The incident would later cause antiwar sentiment on the home-front to increase because of not only the atrocities but because high ranking officers tried to cover up what had happened. Due to the event, the people in the U.S. and army soldiers began to wonder what other atrocities high-ranking officers were trying to conceal, dividing the people on their opinion on U.S. involvement on Vietnamese soil. The condition of the image is remarkable, it reflects how the image first appeared over 4.5 decades ago. Though it may be due to online documentation of the image. I don’t believe this image holds any modern context, as it is merely a documentation of what had happened. But i believe it still holds the feelings it was meant to portray when you look at it. My search criteria was images of the My Lai Massacre. I chose this image to represent my topic because it was an event that showed the brutality on the U.S. side. The Vietnam war was painted as good(us) vs evil(them), but with the events of this massacre brought to light, we can see that that’s not always the case. 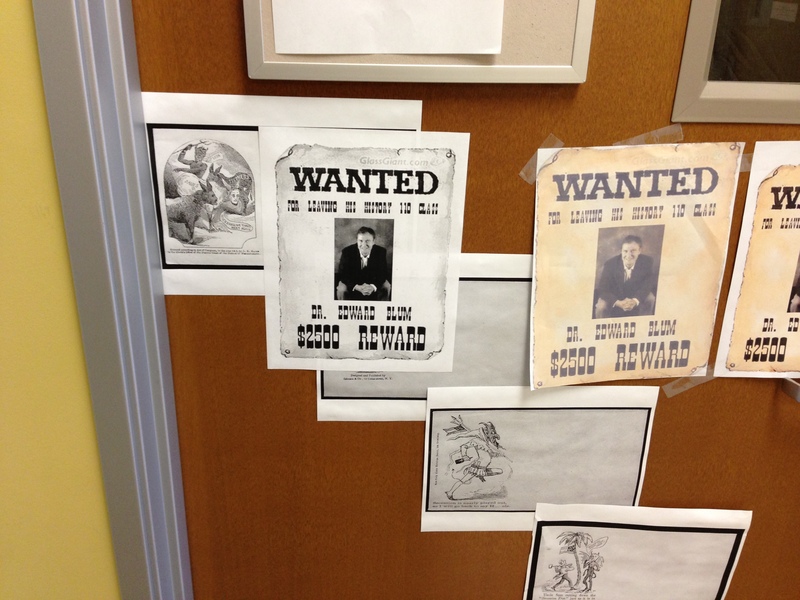 This week in class, Dr.Putnam spoke briefly about Martin Luther King Jr., mostly on how he was assassinated. This sparked a memory i had in elementary through middle school, where around the time we were learning about black history, the teachers showed us a video called “Our Friend, Martin”. The hour long video is an animation that depicts present day students who go back in time to historic events during Martin Luther King Jr.’s life. 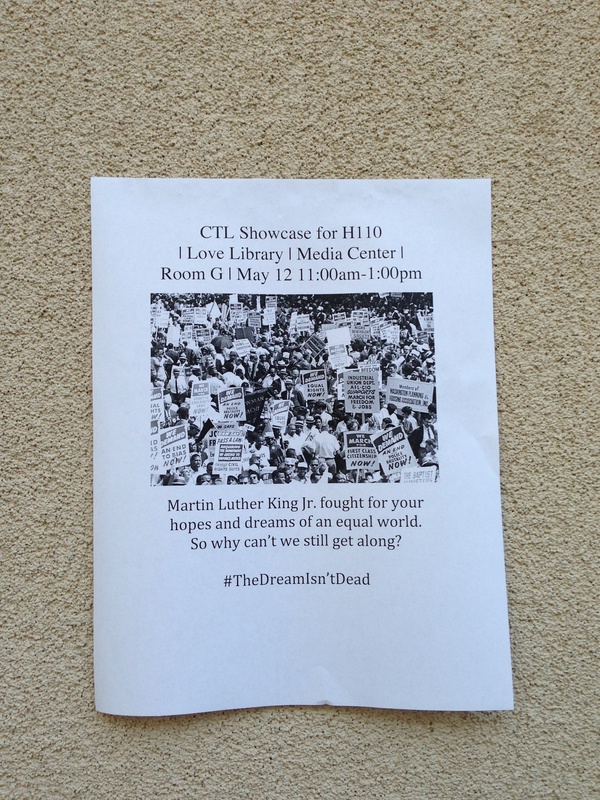 They have real footage of some of the events in the video and at the end we see Martin Luther King Jr. get shot (in animation) and then live footage of his funeral proceedings. 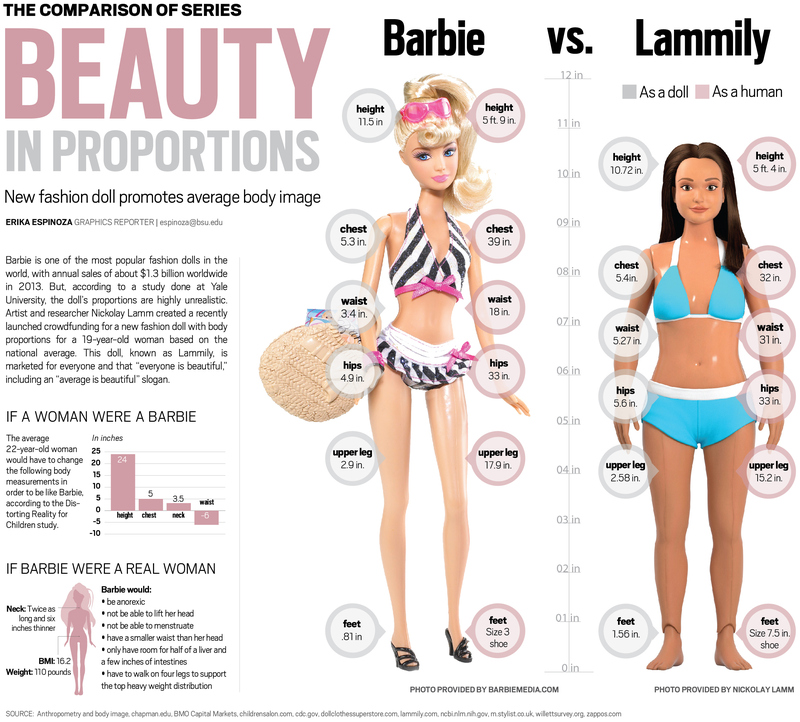 This week in Class, professor spoke about the Barbie doll and how the image of her is unrealistic. This reminded me of the proportional Barbie doll created by Nickolay Lamm back last year in 2014. The artist took the average proportions of 19 year old girls and created a doll that portrayed those measurements. We see that she is much shorter,has more meat on her bones, and the aspect ratio all over her body is more realistic. I think its a pretty cool variation of the Barbie doll, but i can’t say i’m in support of it nor am i not in support of it. But Personally, in some pictures such as these (which is supposedly the same doll) makes the accurate proportional Barbie to appear pretty Stubby. This week in class Dr.Putnam spoke about hippies and the movement they started. Towards the end of class he presented a video that portrayed a kind of space hippie in a Star Trek Episode. This reminded me of an episode of Futurama named Bendin’ in the wind, where the character Fry and gang take an old Volkswagen that was stereotypical of hippies of the time, to travel all across the country. Along the way their clothes became stained in a kind of tie dye that hippies were known to wear. 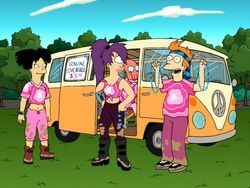 While the episode did not deal with the hippie movement itself, the way the characters presented themselves in their tie dye and Volkswagen, and the concert at the end was an homage to the life of hippies themselves. The thesis of my essay involves arguing how the United states grew as a global superpower during WWII. I plan to explain how military development played a huge part into making them the power they are today, specifically the atomic bomb. In the development of the atomic bomb it became the most profound scientific development, due to it being the first nuclear weapon to be created. The United States were the first to complete the atomic bomb, and as such held the power to decimate any city. In class we learned about the atomic bomb, such as the race to build it and the bombing of Hiroshima and Nagasaki. 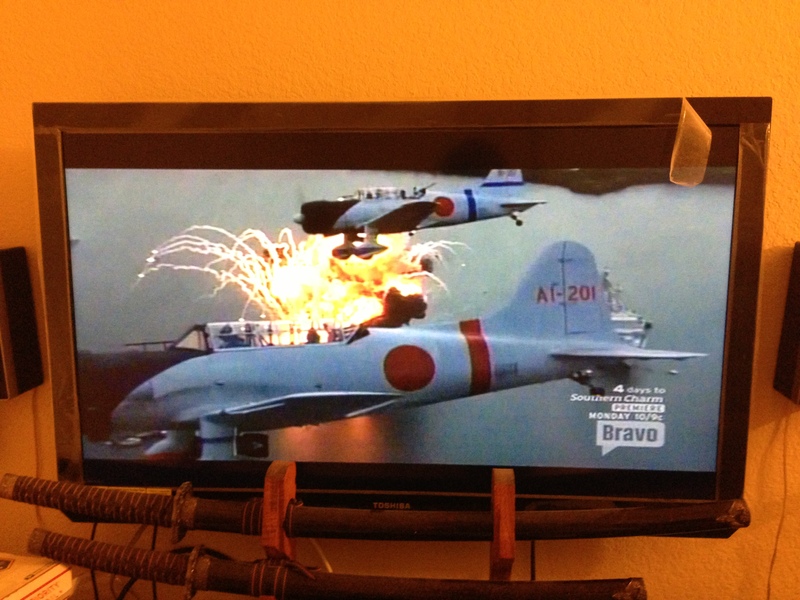 While I was watching TV last night, Pearl Harbor happened to be on. It was interesting to see the extent of damage and how chaotic it turned out to be. What happened to Pearl Harbor was not only the United States entrance into WWII, but it was also the U.S.’s declaration of war on Japan. It is believed that the bombing of Japan was a result of what happened at Pearl Harbor, as well as the speculation of whether it was done as revenge or strategic reasons. Over this week, my friend and i were watching movies created by studio ghibli. This particular movie named The Wind Rises struck my fancy for more than one reason, for one it was unlike anything they’ve done before, and the second reason is because it told the story of Jiro Horikoshi in a fictitious biographical way. Before watching this movie i didnt know who he was, but after watching it and looking up information about him. I learned that he was a japanese aircraft engineer during World War II, most known for the Mitsubishi A6M Zero. While the movie wasnt 100% biographical, it did have enough biographical information to show some insight as to the person, the time, and the place. So on my way home from class one day, i was listening to my ipod, and the song that plays is “kenji” by Fort Minor. The songs lyrics tell the story of a Japanese-American family’s experience in the U.S. during the events of World War II. Namely Pearl Harbor, the Internment of the Japanese into camps by the U.S., similarly to Germany and the Jews, and the bombing of Hiroshima and Nagasaki. Within the song, there are voice inserts by people who either experienced what had happened during that time or have family who have experienced it, the singer’s (Mike Shinoda) own family being one of them. I found it interesting that in a 4 minute song, we can get a glimpse as to what had happened from a Japanese-American standpoint.